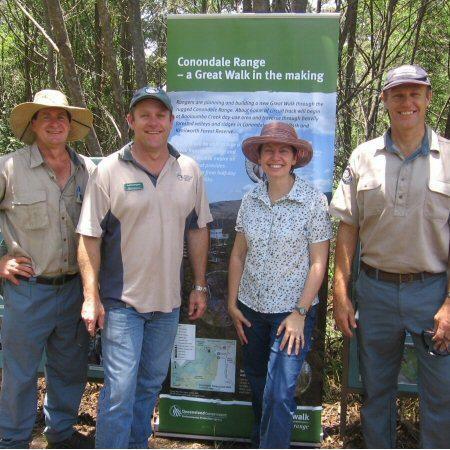 If you enjoy the great outdoors, walking trails & swimming holes abound … the Blackall Range has something for every one … from 1 km rainforest board walks, to 10 km hikes and more. Enjoy the spectacular scenery, ever changing foliage, and wonderful bird life … as well as taking a dip in one of the cascading rainforest rock pools, where crisp fresh running water provides a much welcome respite from the heat in the summer months … it’s a great refresher before your journey home! 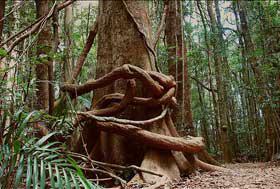 Mary Cairncross Scenic Reserve, Gardner’s Falls, Lake Baroon Lookout, Kondalilla Falls, and Mapleton Falls are some of the popular walking trails between Maleny and Mapleton, all providing something different. If you bring your swimmers; a camera; a picnic lunch; and copious amounts of water, you’ll be well prepared to enjoy your day, however it evolves. If you enjoy the great outdoors the Blackall Range has something for every one from 1km rainforest board walks, to 10km hikes and more. 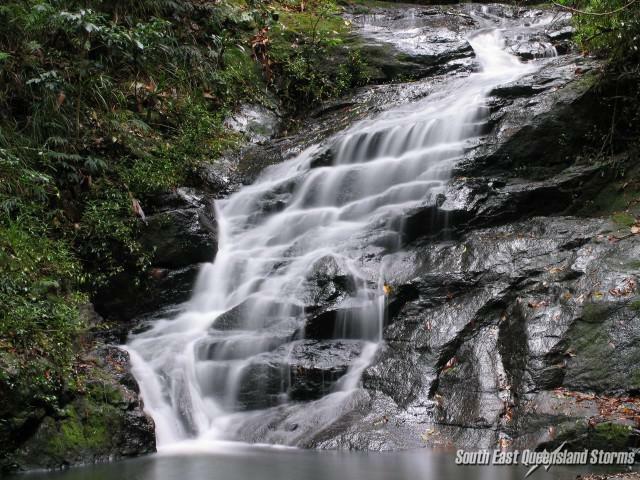 Enjoy the spectacular scenery, ever changing foliage, and wonderful bird life as well as taking a dip in one of the cascading rainforest rock pools, where crisp fresh running water provides a much welcome respite from the heat in the summer months it’s a great refresher before your journey home! 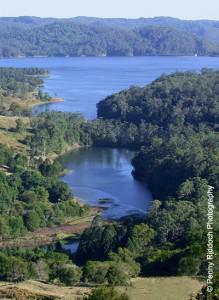 The 58 km Sunshine Coast Hinterland Great Walk crosses the Maleny – Mapleton plateau. Be enthralled by the ever changing scenery as you traverse this dramatic terrain, over a number of days. You’ll discover a pristine environment with refreshing water holes, dense rainforest, an abundance of bird life, and breathtaking views and scenery. As the crow flies the lookout is only about 300m from our front door, but access is from the bottom of Narrows Rd. Here you will enjoy spectacular views over the Obi Obi and experience the sheer vastness of this magnificent natural environment. From the car park to the picnic area and toilets is a steep concrete path-not wheelchair friendly. 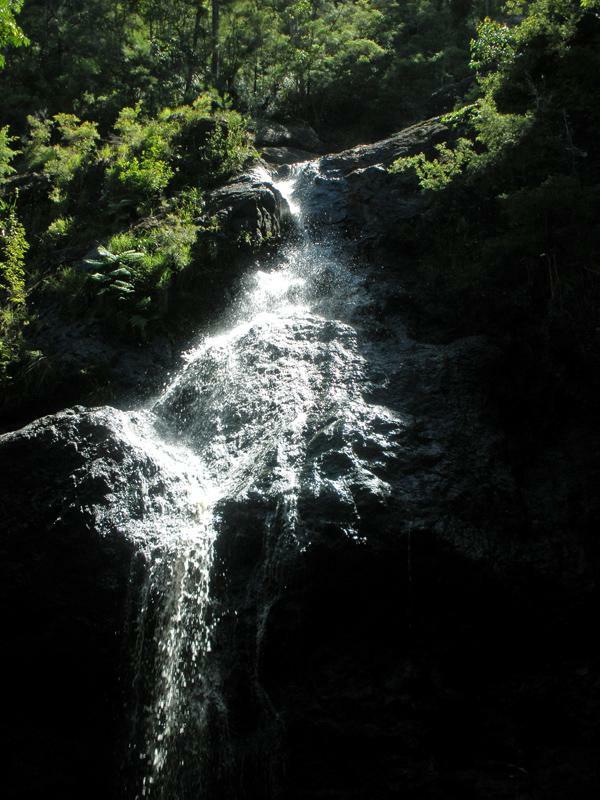 The walk to the top of the Falls-the Picnic Creek Circuit-is 2.4km, allow 45 minutes as the steps back up are quite steep. There is a natural pool and lush vegetation. The Kondalilla Falls Circuit descends to the valley below and up the other side-allow 1 hour-the return track is strenuous. Superb lookout next to car park with wheelchair access-picnic area and 1.3km circuit-spectacular views of waterfall and rainforest valley below. Listen for the Wompoo Fruit Dove calling from its treetop feeding sights. 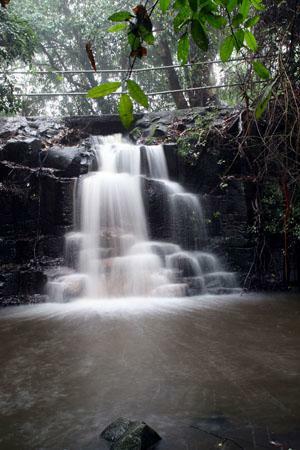 The little known Gheerulla Falls is one of the best swimming holes on the Range. Not far from Mapleton, just park your car and take a 1.5km walk into the falls. An easy walk with no rocks to climb over when taking a dip in the beautiful crisp clear water so if you’re looking for a water hole away from the crowds in a peaceful and secluded setting, then this is the one. For the more energetic, this trail takes around 3 – 4 hours, and is a popular section of the Great Walk! You can do the walk in either direction. Give us notice and we may be able to drop you off at either the Kondalilla or the Lake Baroon start point, and you can make your way back to your Getaways accommodation in your own time, after enjoying the lookouts, birdlife and spectacular scenery. 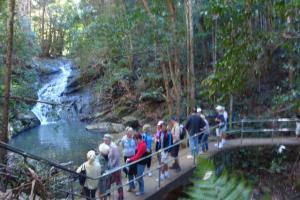 Situated near Obi Obi creek, this walk is great for beginners as it is wheelchair accessible and only 850 meters return. The track shows the beginning of a subtropical rainforest recreation project and there have been reports of platypus in the creek. 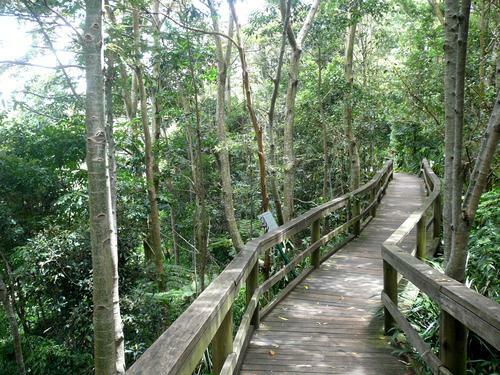 The Sunshine Coast Hinterland Great Walk is made up of 3 sections, namely the Baroon Lookout Section of walks, the Mapleton Section and the Delicia Section. The Great Walk can start with the Baroon Lookout Section which is a 58km walk that crosses the Maleny-Mapleton plateau and the Blackall Range. Towering Bunya Pines, rushing waterfalls and rugged, scarred landscapes are some of the natural wonders to be discovered. There are a number of walks from 2 to 7 hours. Most walks are not a circuit, you may need to arrange ‘drop off’ and ‘pick up’. Newly signposted with interesting facts about the features you will find on the nature trail, this short 800m walk through our property will open your eyes to the natural beauty of the ’Narrows’.